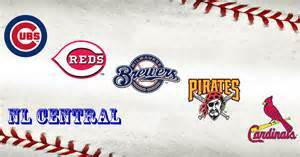 If the Chicago Cubs can get at least one win on the road this weekend against the Milwaukee Brewers they will become the third team in the N.L Central Division to reach 95 wins in the 2015 season. This would be the first time since 1994 (when baseball went to a three-division in each league format) that three teams from one division won 95 or more games in a season. From 1994-2014 there were 13 times when two teams from the same division won 95 games. It last happened in 2010 when the Tampa Bay Rays (96) and the New York Yankees (95) each reached the 95-win mark that year. Here’s a look at the 13 times when two teams from the same division won 95-plus games since 1994. In eight of these 13 occasions listed above, one of the teams from that division made it to the World Series that season. Only three won the World Series that year (Anaheim 2002, Boston 2004 and N.Y. Yankees 2009). The five teams that lost in the World Series that year were Atlanta-1999, San Francisco-2002, N.Y. Yankees-2003, Detroit-2006 and Tampa Bay-2008.